Click on the photo for details of the bike. 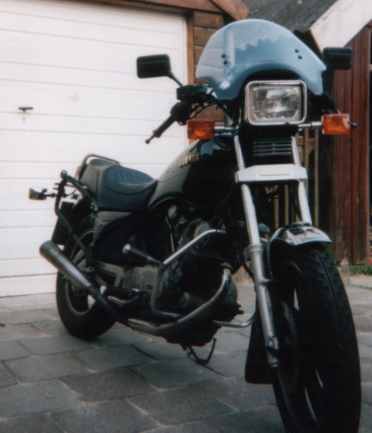 Since 1988 I'm the proud owner of ‘Alsvidur’, my loyal Yamaha XV920. I collected the bike in november, so he had directly some experience with the salt that 's on the roads at that time of the year, 'cause I didn't own a car in those days. The first years I rode it summer and winter. It is my second xv920, I crashed the first one on a Toyota, of which the driver (female of course) didn't see me. There was a hole in the car, a hole in the crank-case of the bike, the front wheel against the engine. It was my first (and short) experience in flying. The bike was used for commuting and in the summertime as meaning of transport to towns and villages, with my accordeon behind me, so I could earn some money as a street musician and keep the motorcycle running. In 1990 I had to buy a car; I started working in a band and needed more instruments as Alsvidur could carry. 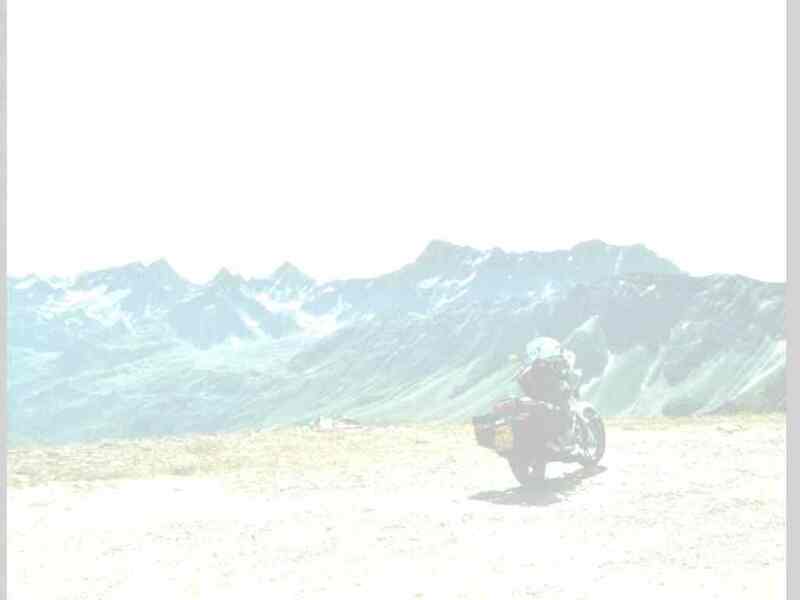 The advantage of this was that the bike only came out when the wheater was nice and for my hollidays, in which we reached heights over 2500 meters. In 2012 I have sold the bike after 24 years and 76.015 miles (122.331 km). His successors were s completely different bikes.